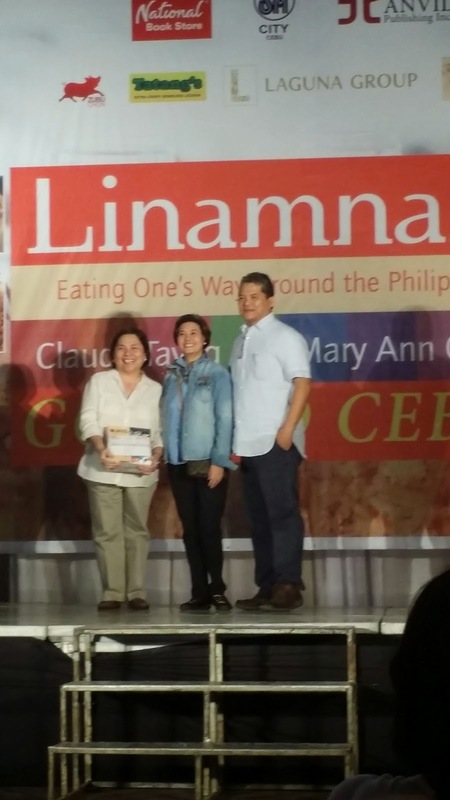 Eat your Way Around the Philippines with the Second Edition of Linamnam! With all our regional differences, it is our love of malinamnam (delicious) food that binds us together! 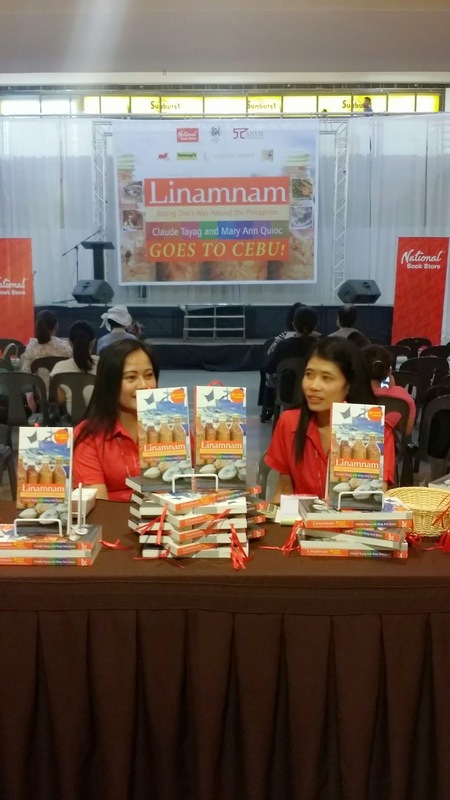 Anvil Publishing and National Bookstore, together with SM City Cebu and Cafe Laguna launched the new edition of the bestselling title "Linamnam" by Claude Tayag and Mary Ann Quioc. 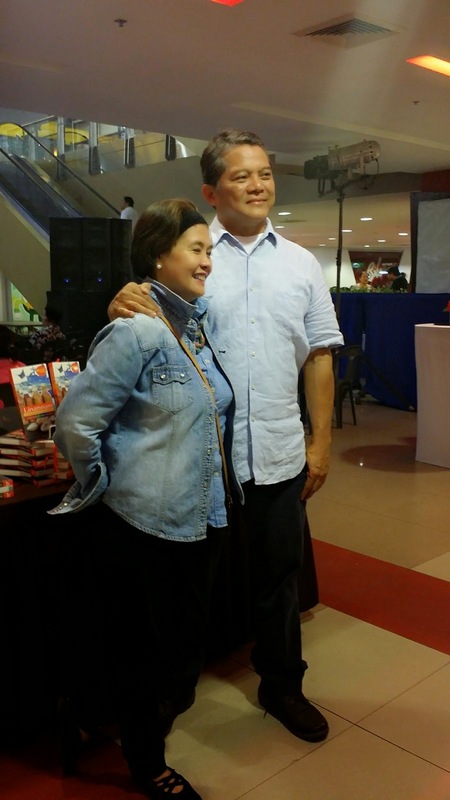 It was held at the Event Center, Lower Ground Floor of SM City Cebu yesterday January 19, 2015 at 6PM. 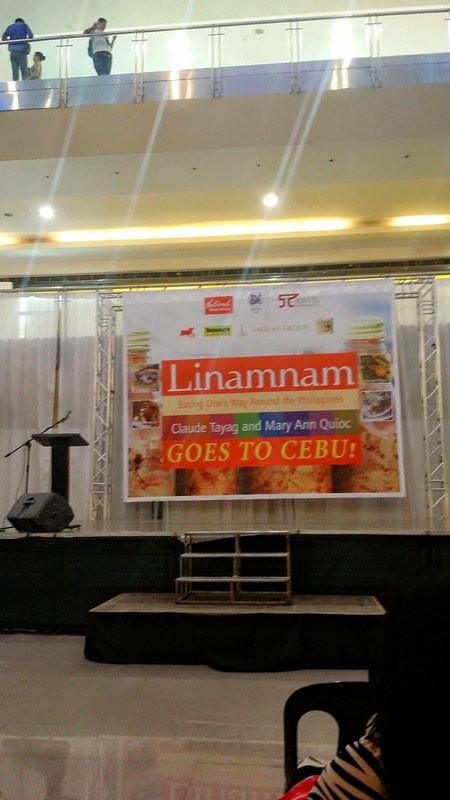 The latest edition features 14 of the best of Cebu cuisine like Zubuchon, NL Cafe, Chika-an sa Cebu, Azul Tuslob Buwa, Cafe Laguna and Tatang's Extra Crispy Skin Lechon Food Court. 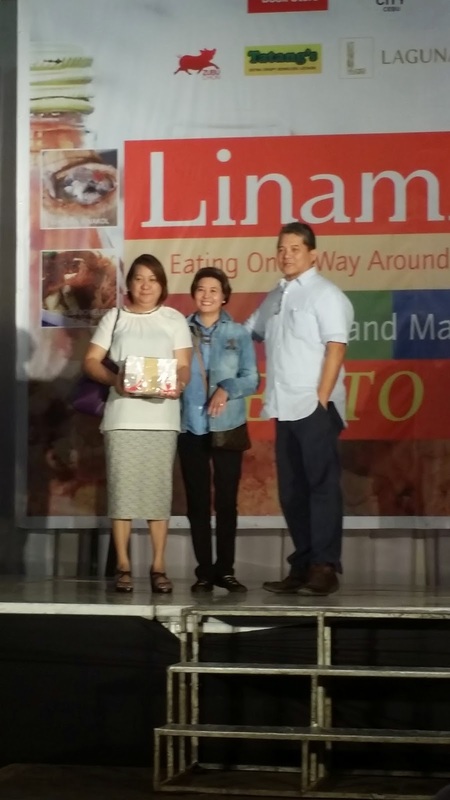 Linamnam 2 is a collection of the best food from all over the Philippines and the restaurant that serve them. The introduction reads "...not only do Claude and Mary Ann lead the reader to the best eats (of) every region..., but also the why's and how's of what makes each dish unique and outstanding in its own right." 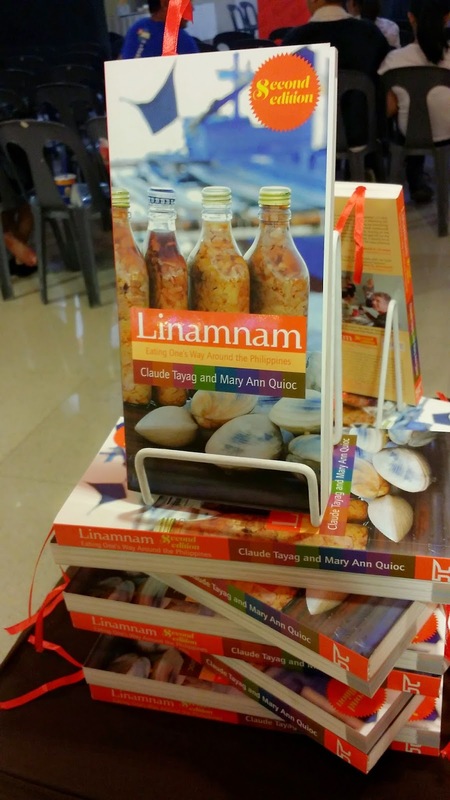 TV anchor and host Ces Drilon writes "Linamnam is the book I never leave home without when travelling around the country. (It) has been a great guide in discovering places to eat. 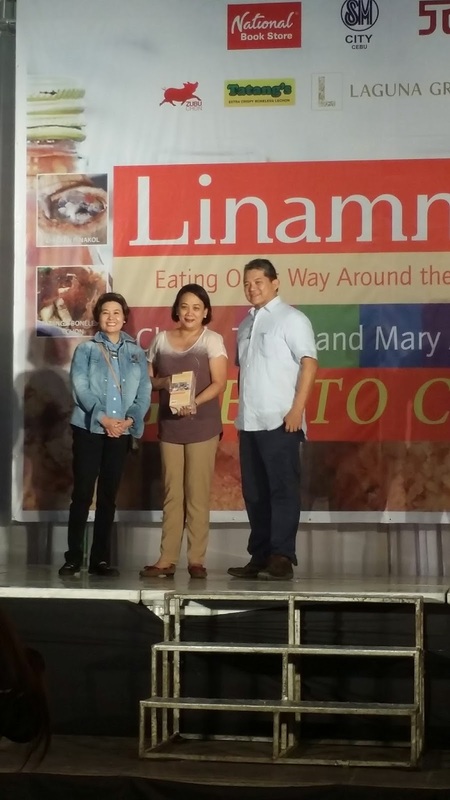 It's not just a guide, it also provides teh historical insight into the food you eat." From Anton Diaz, blogger and founder of Our Awesome Planet: "When it comes to really good food around the Philippines, I rely on Claude Tayag for the best secret foodie places to eat. Claudeis a true foodie, a well-respected chef, and a well-loved author." 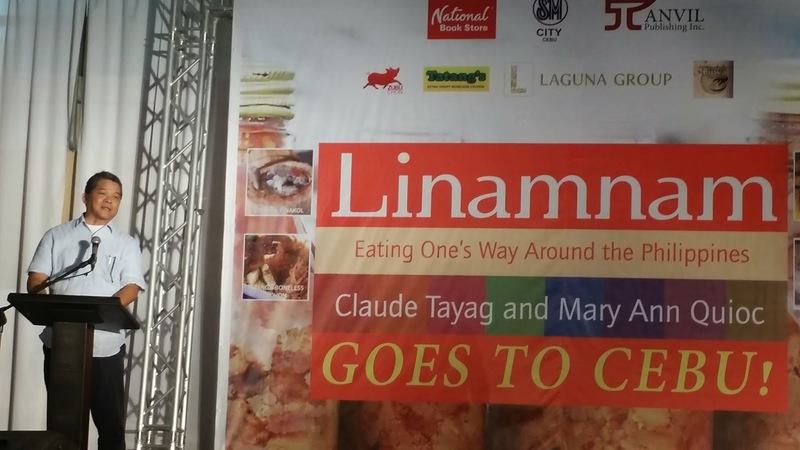 Margaux Salcedo of the Sunday Inquirer Magazine shares this: "Claude and Mary Ann Tayag are the "it" couple of the foodie scene in Manila. 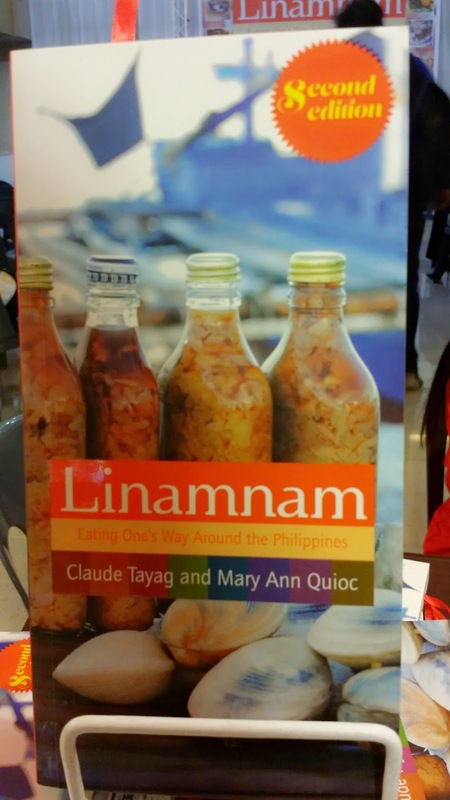 This knowledge is both vast and deep, exploring varieties of favorite Filipino specialties like lechon (spit-roasted pig), aligue (crab fat), or Philippine vinegar (suka) across various regions of the country. 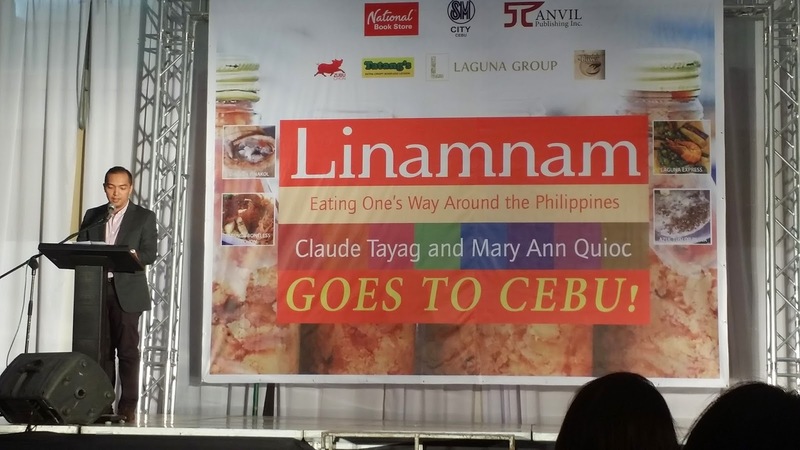 True patriots and real gourmets, their passion for authentic Filipino flavors has allowed foreigners to be properly introduced to our cuisine, and has given us nationals a deeper appreciation of sweet, salty, and sour on this side of the world." 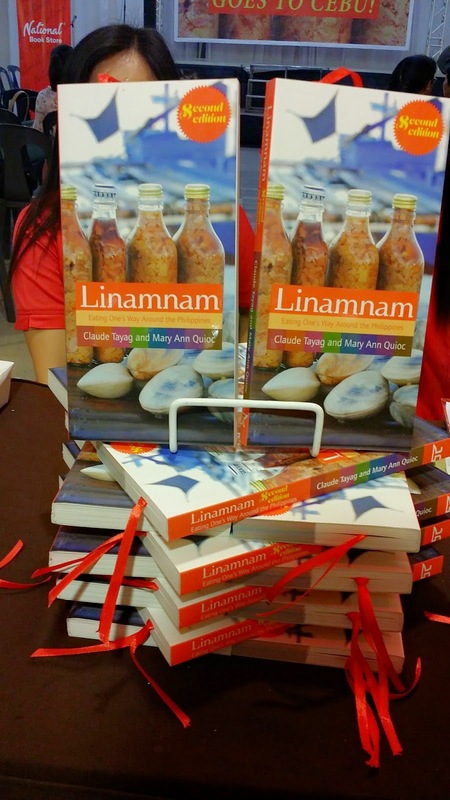 Linamnam is now available in the food and travel sections of all National Bookstore and Powerbooks nationwide. The book launching sponsor representatives were given complimentary copies of the book. 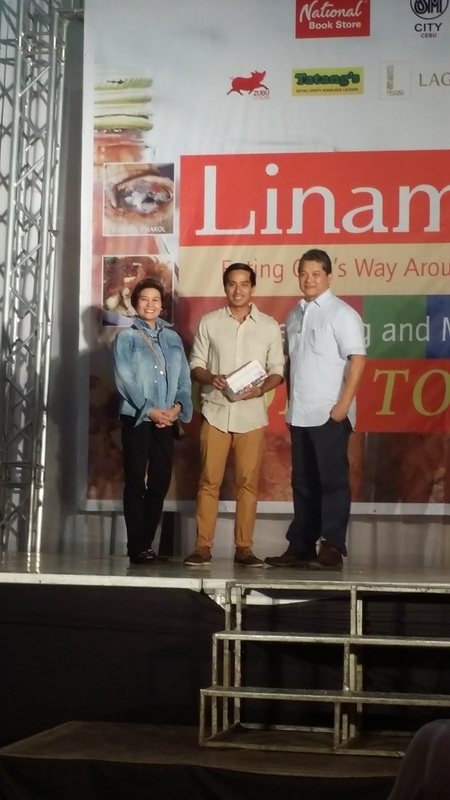 Gift certificates were also raffled out to those who attended and bought the book from the launching . 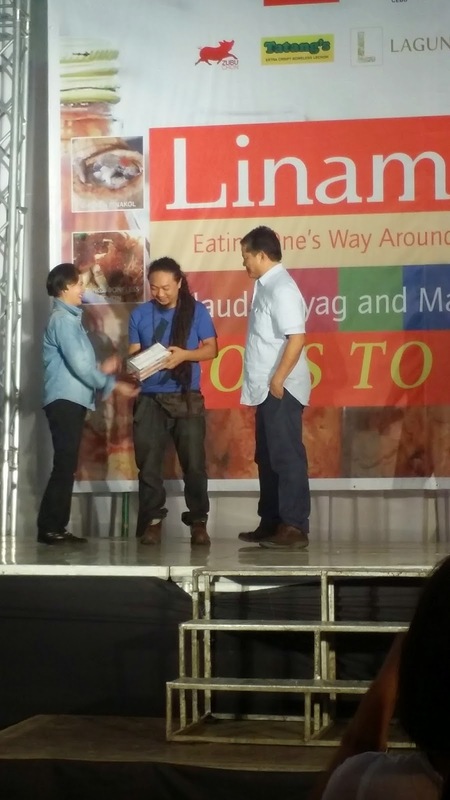 I was one of the lucky winners of a GC courtesy of Azul Tuslob Buwa. Now I have a reason to try it for the first time!